I have a Tune-A-Lite neon bulb that is used as a signal strength/tuning indicator on an Atwater Kent Model 99 radio from 1932. It uses a Duo-vac neon bulb as a signal strength /tuning indicator. This bulb has blackened on the inside due to sputtering of the electrodes (from what I read). I saw a forum article about cleaning the inside and refilling nixie tubes that have suffered a similar problem. Could this be done on this bulb? Is there anyone who has one of the bulbs for sale. Is there any recommended place to have a repair of this type accomplished? Attached are pictures of the bulb and one showing it energized at different levels. Also I have attached a brief description of its operation. 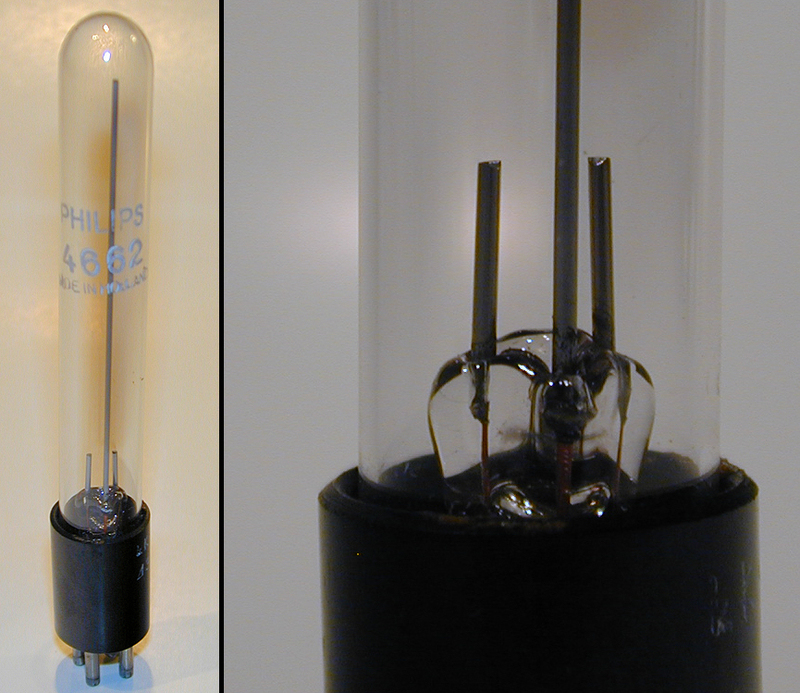 Gas discharge tubes, primarily neon filled, were the choice for tuning indicators during the 1930?s prior to the introduction of the magic eye tube. 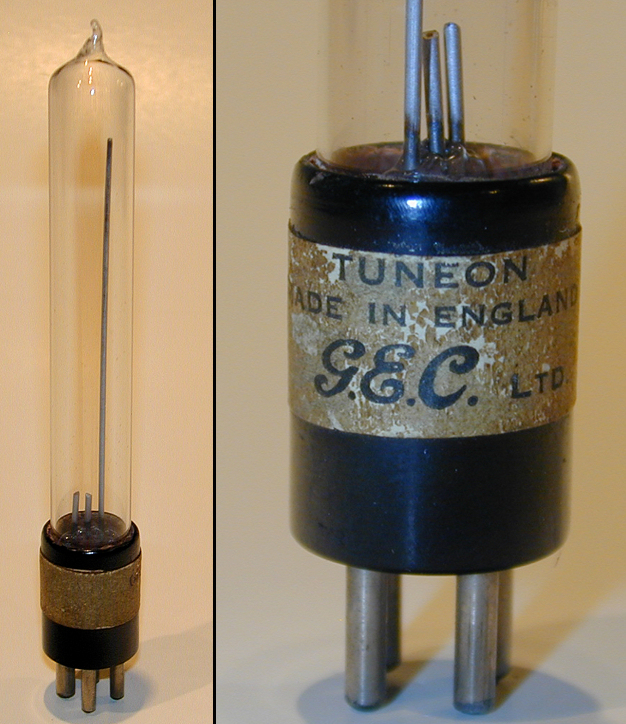 Inventors experimented with many different electrode configurations in their efforts to make a tube best suited for tuning and resonance indication. This circuit uses a simple 3 element neon tube in which the neon glow will increase with signal strength. Hi I know its an old topic, but feel I must thank those concerned for info on these, I have two of these from a collection I bought some years ago but they have no info on them at all but do have pins which fits into a holder. They are neon and depending on the power how high they travel up the tube. I have been away from the forum for it seems ages but am back and go under the name migette1 on Y/T and the other two bulb sites in The States. Welcome back! If you're interested in parting with your neon tuning indicators then please let me know. I'm looking for a couple of extra ones for a vacuum tube amplifier project that I'm working on.